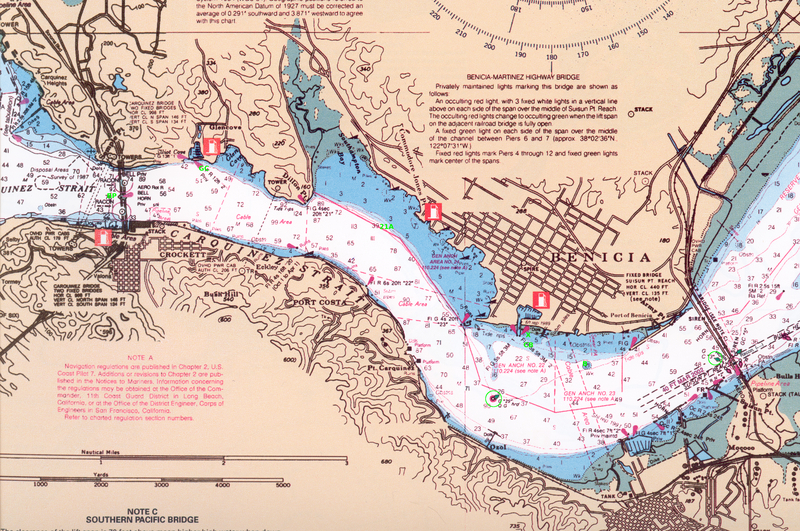 Come on aboard and join us in one of the most enjoyable activities one can find, here on the beautiful Carquinez Strait, off of picturesque Benicia, California. Enjoy with us a sport that is both exciting and relaxing, challenging and fun, and with every evening glistening with a spectacular sunset. We love sailing! With the happy motion of the boat through the water, with the fresh warm breeze on our faces, the quiet power of our sails, and always learning, always laughing at our ourselves and with each other. After the sailing, we gather upstairs at the yacht club for good food, camaraderie, cheer the results, trade stories of the sailing, and enjoy each other’s company and friendship. We call these races, on Thursday evenings, “Beer Can Races”, because we are sailing and racing for the fun of it. It’s a good time for all of us to relax while still trying hard to sailing better than each other, but all friends, all in it because it’s wonderful. The Beer Can Race entry form, rules, and periodic results can be downloaded in PDF format on the left column of this template. The races have become a tradition at BYC, and are enjoyed by members and non-members of all ages. You are encouraged to participate. Also, a major racing event for BYC and many other clubs, which includes 100 plus racing sailboats, is the Annual Jazz Cup. This is a spirited and competitive racing event which spans the San Francisco Bay waterway and near BYC, where food, music and dance are enjoyed by all. What fun!! You may contact Dan Carnahan, BYC Race Committee Chair, at “race@beniciayachtclub.org”. 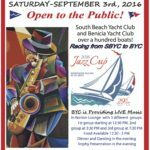 “Jazz Cup 2016” Saturday, September 3rd, 2016 is the date for the 29th Annual Jazz Cup race between the Benicia Yacht Club and the South Beach Yacht Club. The annual Jazz Cup is a 26-mile downwind race from San Francisco to Benicia, and jointly organized by BYC and the South Beach Yacht Club. Enjoy the warm weather and great wind. 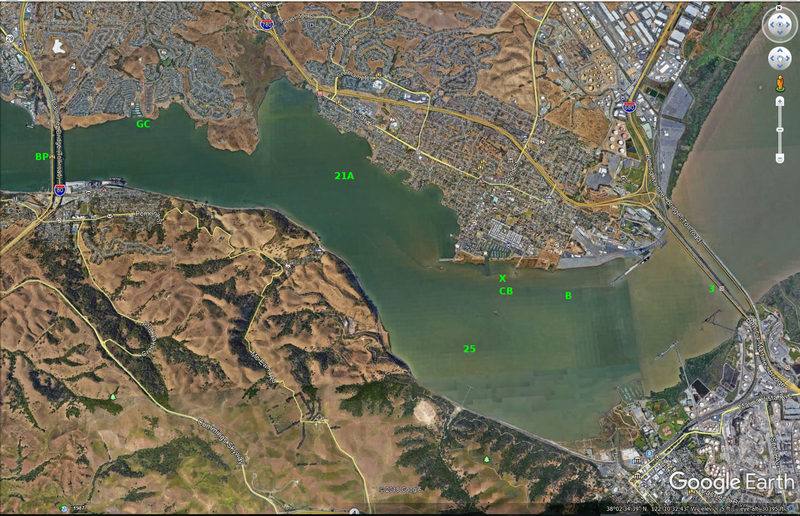 Raft up at Benicia afterwards and stay for the party and awards ceremony at the BYC. Live music through out the day! Registration is now open and available online via Regatta Network at this link: Jazz Cup Registration. Jazz Cup shirts are on sale at the BYC Norton Lounge! Get ‘em while they last!